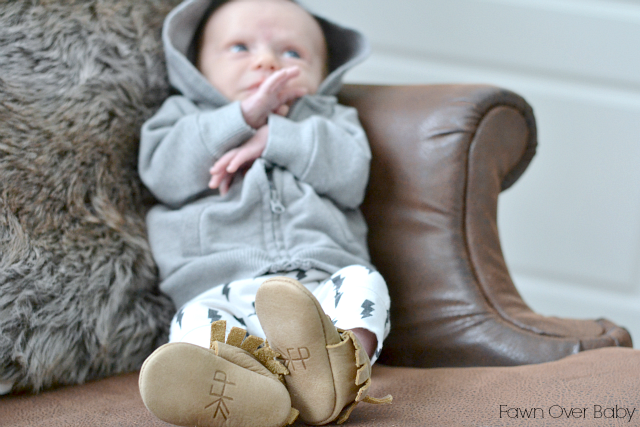 Fawn Over Baby: Freshly Picked Moccasins Product Review + GIVEAWAY! 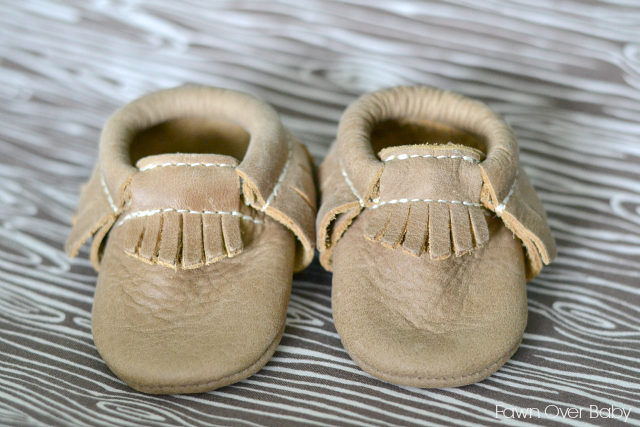 Freshly Picked Moccasins Product Review + GIVEAWAY! Hi Friends! Today is an exciting day! Not only do I get share one of our favorite baby/child wardrobe accessories, we are also giving every Fawn Over Baby reader whom resides in the U.S. a chance to win a pair for their little one as well! 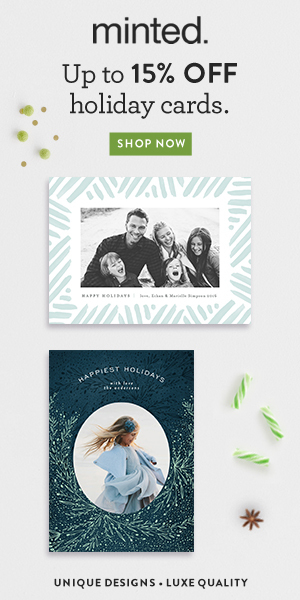 If you haven't heard of Freshly Picked by now you came to the right place! 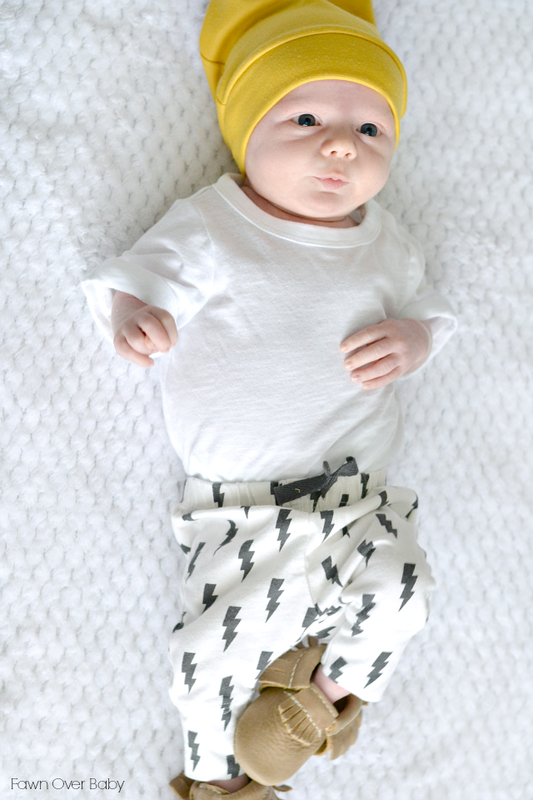 I am a huge fan of the brand and their adorable baby/child friendly fashion pieces. I began purchasing their baby moccasins after our first baby McKenzie turned one and it has now turned into a tradition to purchase a pair every year on her birthday. Now that we have a baby boy to dress up, of course he had to have his very own pair as well. 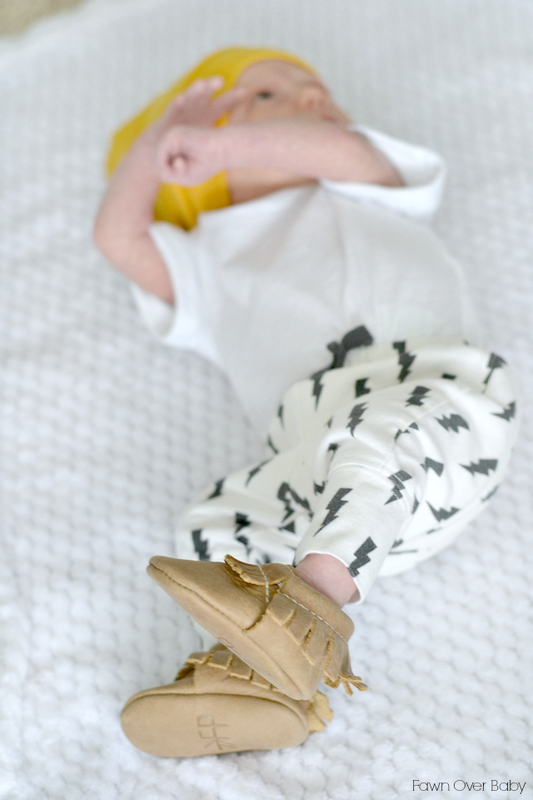 Luckily Freshly Picked began making tiny versions of their moccs so now even the tiniest of babes can adorn their very own pair after being welcomed into the world. 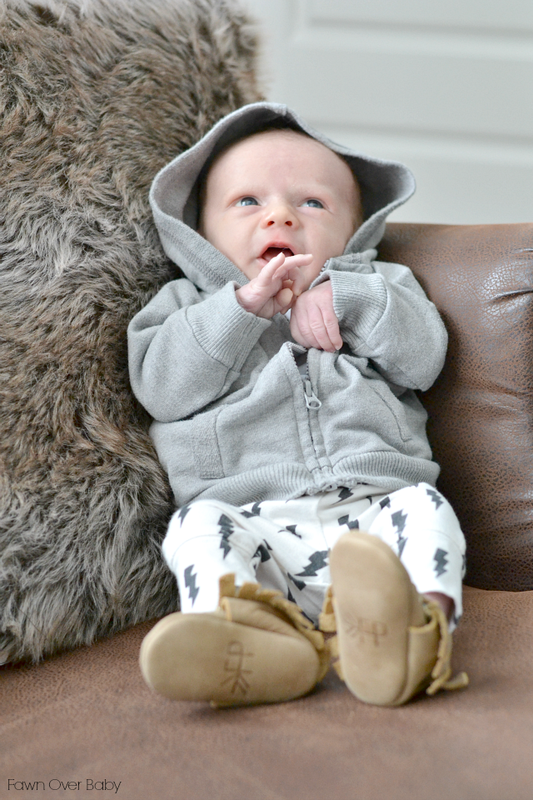 Today our baby boy Haines is wearing their Weathered Brown Crib Moccs and I have to say they fit our little man wonderfully with a little room to spare without being oversized and falling off. 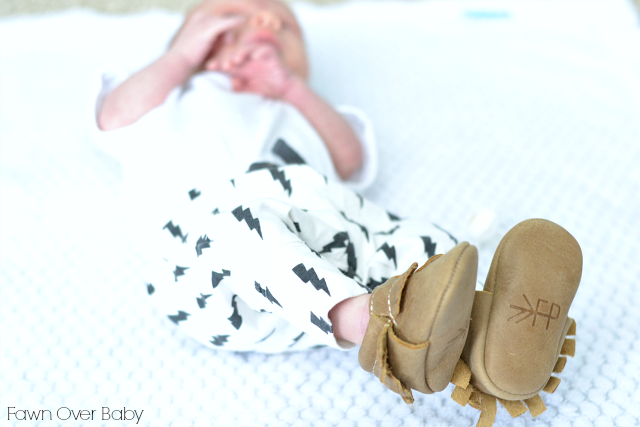 I can't say enough about the Freshly Picked brand and their adorable Moccs, so I'll share as much info as I can as we scroll through our fun baby pics. Freshly Picked began in 2009 after mom, crafter and founder of FP, Susan Peterson needed a more suitable "well-designed" shoe for her babe. After several attempts and lots of persistence, Susan designed and created not only an adorable shoe that fit her babe's chubby little feet, they fit wonderfully and stayed on! Since then, her Freshly Picked brand has grown from just offering an awesome shoe solution for growing babies and children to an apparel line and accessories that will have your little one looking oh-so stylish at every age! Freshly Picked Moccs are soft-soled shoes made with durable leather that feature elastic around the opening making for a convenient slip on and slip-off feature. The crib moccs are sized to fit newborn to 3-5 months, however not to worry if they seem a bit oversized for your new little bundle of joy, as the elastic helps to keep them one and in place. Our son is on the smaller side, so these fit a little bit bigger and we have had no issues with them sliding off. These actually work better at protecting his feet and staying on than the newborn socks we have. 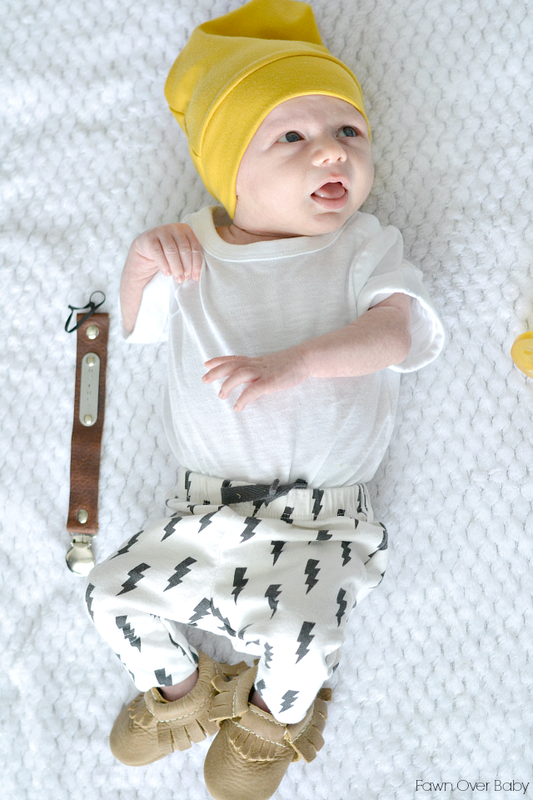 If you would like a size reference, be sure to check the Freshly Picked size guide to give you an idea of what size would be the best fit for your baby. I have to point out the comfort level of these moccs. 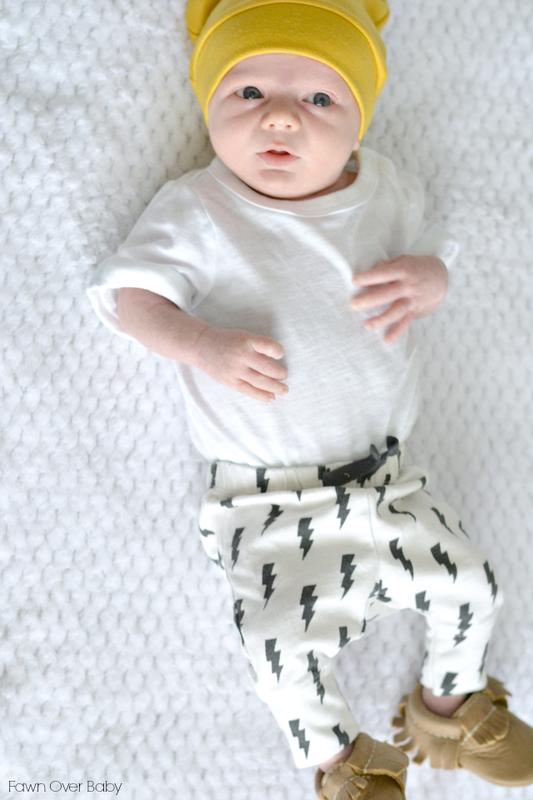 Haines usually cries and carries-on with all other shoes and/or socks for that matter that we dare to put on him. Whenever we slip these on, it's as if he doesn't even know he is wearing anything. It's nice to know that we are not stuck putting him in footie pajamas or footie coveralls every time we want to cover his feet. These have been a wonderful and adorable alternative when we I want to style him up a bit. Now to the fun part! 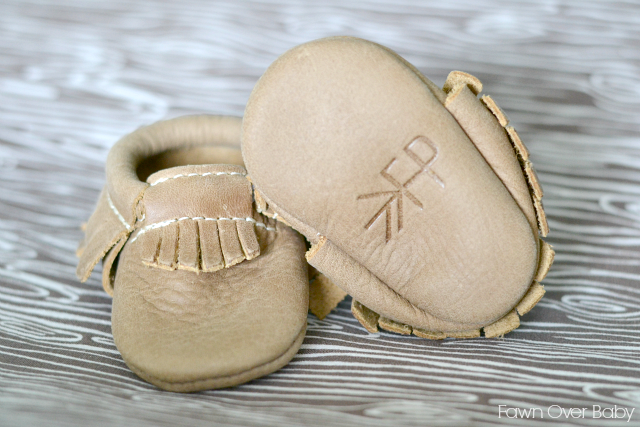 I am so excited that Freshly Picked is partnering up with me to offer one Fawn Over Baby reader (U.S. Resident Only) a free pair of moccasins. Just be sure to enter by filling out the Rafflecopter form below and don't forget to leave a comment with your favorite Freshly Picked fashion piece! Good Luck and Happy FP Browsing!!! *Non-disclosure: Weathered Brown Moccasins ℅ Freshly Picked in order to review. I love the heirloom moccs! 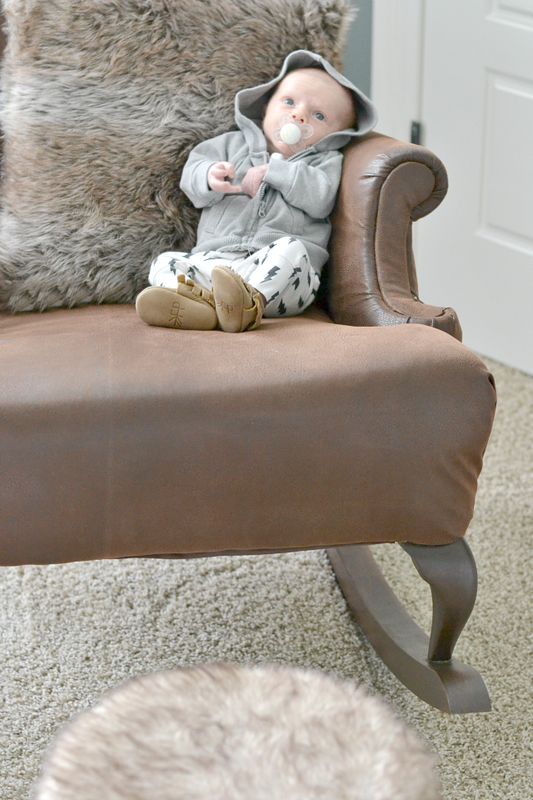 I love all the crib moccs, as we just had our second baby 3 weeks ago! My favorite item are the new hard soled moccs! Thank you! Love FP moccs! The Granite is a pretty color! Yay!! Love your blog and freshly picked. Amazing giveaway!!! Are you kidding? The pineapples! So darling. Thanks for the giveaway! I love FP Mocs! I love the No Place Like Home mocs!! How adorable! Since I have a baby boy, I'd probably pick the Blue Spruce. I love them all but I think weathered brown are my favorites because they can match almost anything! I love the TIMBER - LIMITED EDITION MOCCASINS. The pattern is SO FALL! Love it! I am so obsessed with the FP Mocs, Especially the brown ones and the camo ones! So adorable! 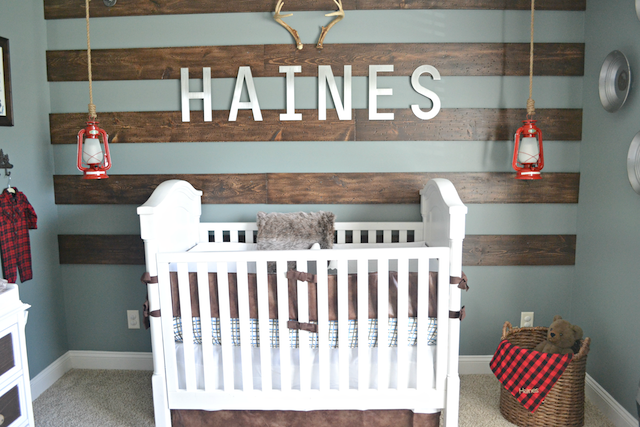 Would be great for my little one on the way! We would get Rose Gold crib moccs for baby #5 due in 5 weeks! We are huge fans of Freshly Picked Moccs!! Recently recieved a pair of the new Next Step Hard Sole Moccs in weathered brown and they are definitely our favorite!! Also obsessed with the Ants at a Picnic! I love the Ants shoes! I love the weathered brown - Utah collection moccasins. I love the Ebony moccasins! So many great choices to pick from. Some of my favorites are Born in The USA, Granite, Prince George , and Ebony! 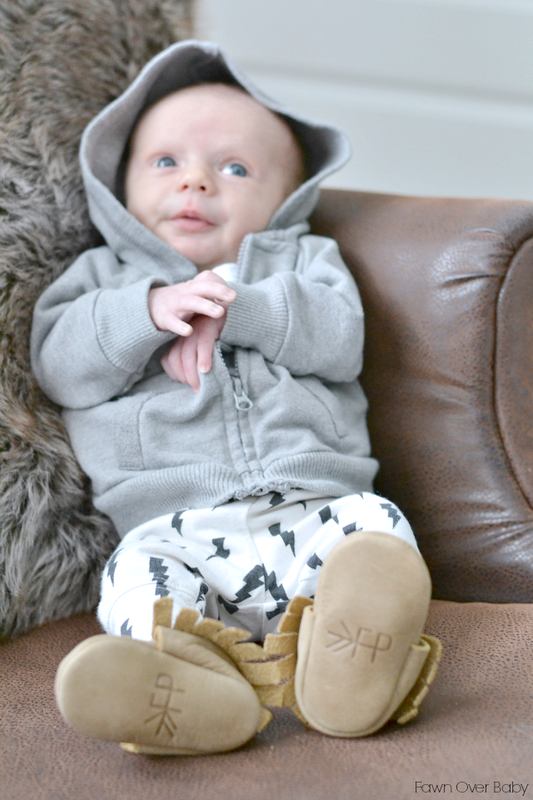 What an awesome giveaway..love the "Gray camo" moccasins. Since my daughter has the biggest fascination with ants I would pick Ants Picnic Pack for her. The Next Step shoes are so cute! I love the platinum! Freshly picked are the only shoes that stay on my daughter's feet! I love Freshly Picked! I'm currently swooning over There's No Place Like Home!! I'm loving the Greatest Snow on Earth for my new little guy! I think heirloom is still my favorite.